Wa'ppun? 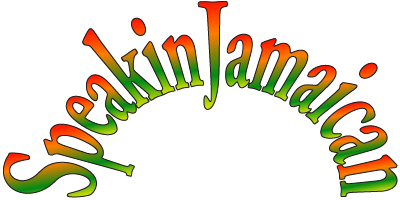 Welcome ta Speakin Jamaican! 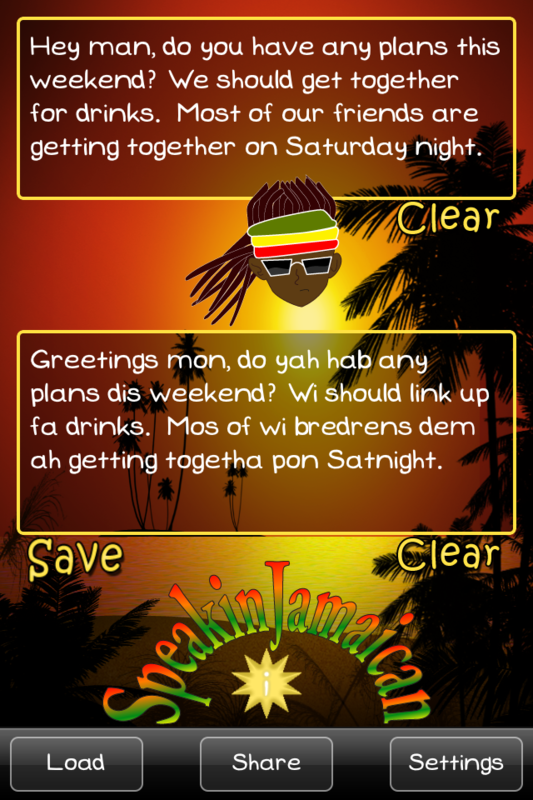 Dis app be cris & easy to use mon, type a message and translate it in the tap of a button then send it ta all your bredren. 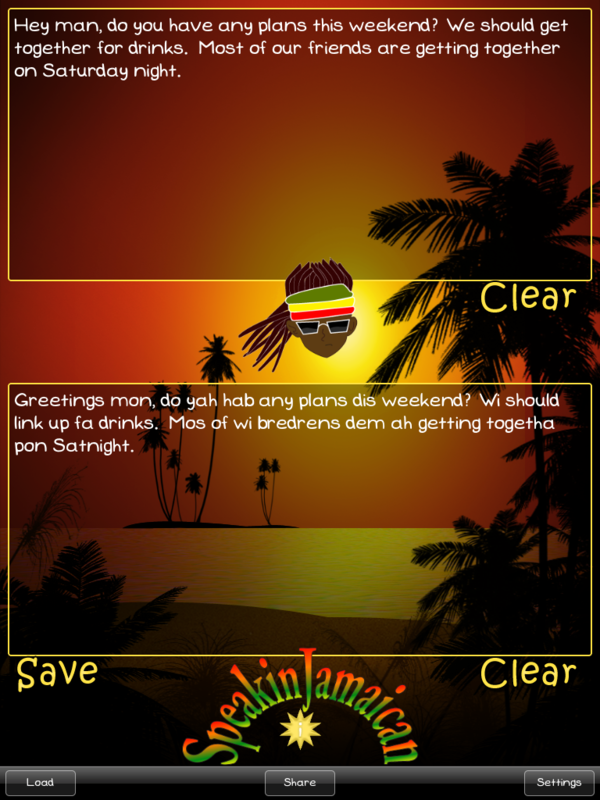 Truss mi, dis app will leave you feelin so upful, use it to channel your inner Rastafarian, humor your breddas, or satisfy your curiosity about the Jamaican language!